Lloyd of Gamebooks: The Lone Wolf Board Game - Halfway to Success! 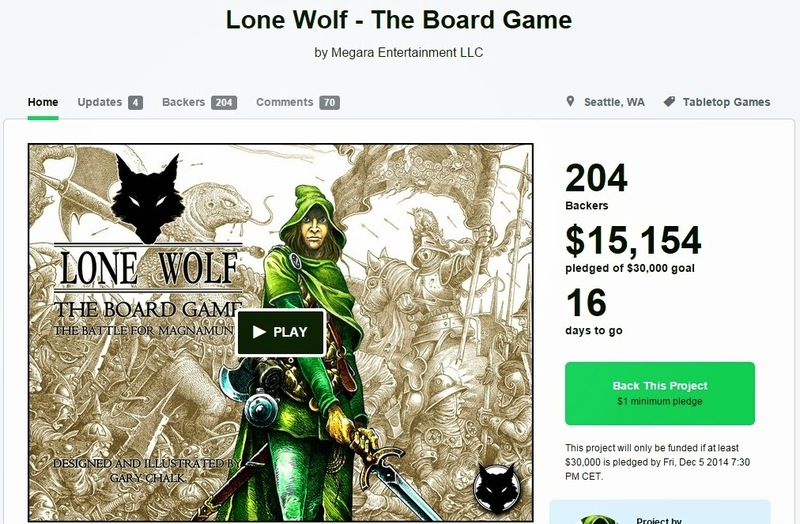 A quick mention that the Kickstarter for the Lone Wolf Board Game has just passed the halfway mark on its funding target. It's also nearing the halfway mark on its deadline, so I call that pretty positive progress so far. Still, if you're a fan of Lone Wolf, or board games, or Gary Chalk's artwork, get over there and get pledging, if you haven't already. For more information, visit the Kickstarter project page, or see Richard Hetley's post on this very blog. Also, I found it interesting to see that documents from the vermin control company in charge of my apartment building are in the same distinctive font as the Lone Wolf gamebooks. Yeah! Wipe out those damn Noodnics! That is a worrying development, Paul. The Noodnics just might survive, take offense, pack up shop and leave. With your worldly goods.